Last week my neighbor, Gayle, texted me this picture and asked if I had any ideas of what to create with all of these saved bottlecaps. Nothing immediately came to mind, but when I went over to Pinterest I found a ton of inspiration! 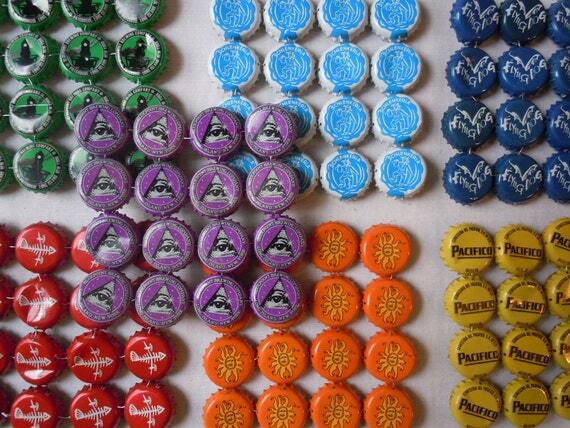 Here are my 20 favorite bottle cap ideas for you. If you have a fabulous bottle cap project you have completed, send me the link and I will include it in this collection! Tic Tac Toe game via Bottle Cap Co.
Key chains via Vitamin Ha!